Henna, Lawsonia inermis, is a flowering plant native to Africa, South Asia and Northern Australia. 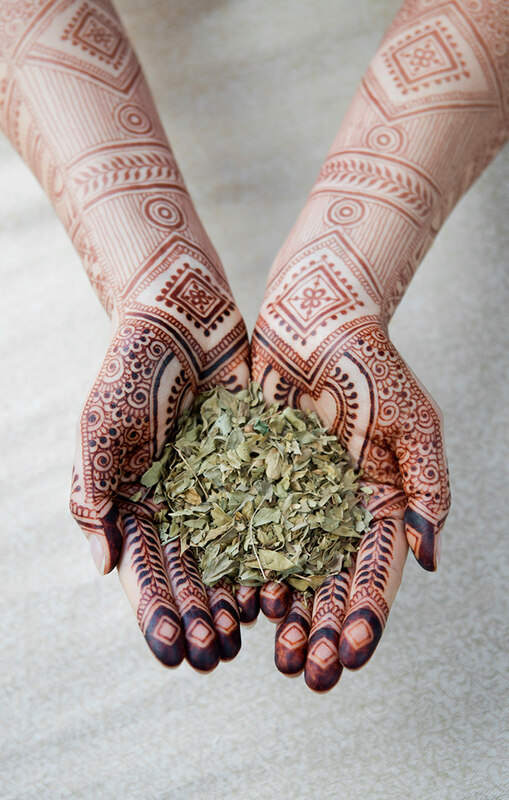 Henna has been used as a natural dye for thousands of years. 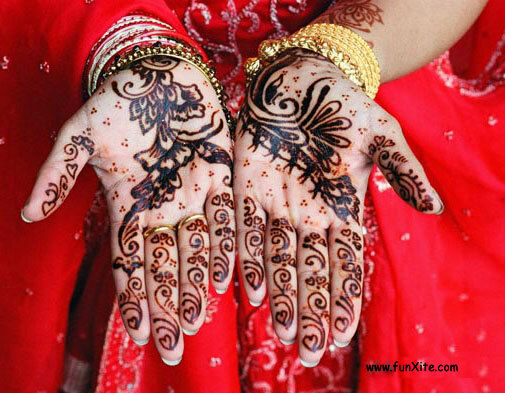 Different peoples have used henna to dye hair, leather, skin, silk, etc. You're probably used to seeing beautiful Henna drawings on peoples' hands. This is a common practice in many South Asian cultures and is most often done for special occasions, like weddings. But did you know that Henna is packed with natural proteins and conditioning properties that can strengthen and lengthen your hair? Let's unlock the wonders of henna. Even though women from various cultures have been using henna for thousands of year, henna has recently gained a lot of popularity in the natural hair community over the past few years. Most celebrated for its ability to condition the hair like no other, Henna is a true gem. The other effect of henna that is both loved and feared the most is its ability to dye the hair slightly red. This dying capability is due to a red/orange dye called lawsome, which is primarily found in the henna leaves. Lawsome binds with the natural protein located in the hair shaft, repairing and sealing the hair cuticle for improved hair health! The exact color you get after applying henna very much depends on your actual natural hair color. For example, I have naturally dark brown hair so of course henna can't turn my hair to bright red. It just gives a slight tint that could only be seen in the sunlight. I started using henna a few months after going natural in the spring of 2011. I heard naturals rave about the amazing effects of this natural Indian herb. I was hesitant to try it because I heard about how long it took to apply, its ability to change both the color and pattern of your hair, and that it could dry your hair out. But I also heard that it made hair stronger, shinier and thicker, making the possibility of growth retention even greater. So one day, I decided to take a trip to my local Indian grocery store and explore the benefits of henna. I tried it a day later and have been a dedicated henna-head ever since. I'm hooked for life! I do a henna treatment once each month. 2. How to Mix. 24 hours before I apply my henna, I prepare it by boiling green or black tea in some water, then adding it to my Henna. In a plastic bowl, using a metal spoon, I mix it up until it forms a uniform smoother consistency. Then, I store it for 24 hours. The next day, I add 1/2 cup of an oil of my choice, usually coconut oil. Sometimes, I also add 1/2 cup of a natural conditioner if my hair is feeling extra dry. 3. How I apply. Similarly to how I apply my avocado deep conditioner and bentonite clay treatment, I divide my hair into four sections and clip them up! Using my hands (covered with gloves of course), I spritz each section with water then apply the mix! (I would suggest covering your bathroom floor and sink with towels because the application process can be messy, especially because henna is a dye. So, naturally, it stains everything it comes into contact with). 4. I don a plastic bag on my head, then leave the mix on over night or throughout the entire day. 5. Rinse rinse rinse VERY well. I usually fill my bath tub up with water and dunk my hair in it. Then I wash the mix out with conditioner at least twice! 6. Deep condition with a non-protein moisturizing conditioner!!!! This is probably the most important part since henna can be drying! It is important to not use a protein deep conditioner because that would be too much protein, since henna is a natural protein. Too much protein will make your hair break off. 7. Wash and style as necessary. All in all, henna has improved the overall condition of my hair tremendously! The benefits are worth every bit of effort! Check out my henna update here. If you've ever used henna, please share your experiences! It is so nice to see henna being appreciated my other cultures. I am Indian so I know about the benefits already. My grandmother used to put this stuff on my hair a couple times each year. It's really good! Vatika oil and Amla oil are good too. My hair always felt stronger after using henna but I hate the color deposit. Is there any way to avoid that? hi there! thanks for commenting.